The In Touch with Molecules project investigates how cyber-enabled tangible models promote different and improved ways of learning molecular biology content and allow for the teaching of STEM content that would not otherwise be addressed. 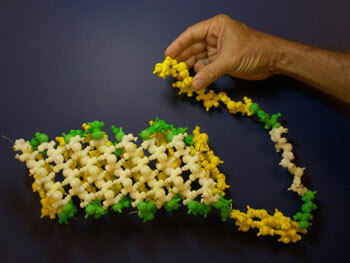 The project builds on the groundbreaking work of Dr. Arthur Olson from the Scripps Research Institute, who directs the development of tangible molecular models augmented with computer-generated imagery and data at the Scripps Research Institute. We believe that applying these technologies to educational settings has the potential to transform the teaching of molecular biology.